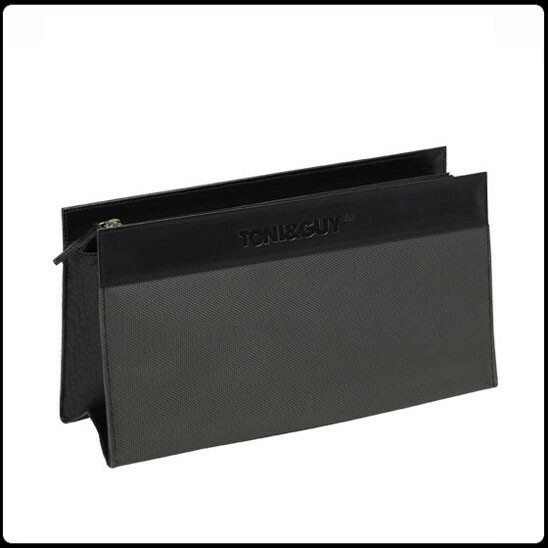 The TONI&GUY Grey & Black Leather Tool Bag offers three internal pockets, an internal zip pouch & plenty of room to carry your essential styling tools. Approximate measurements 30cm x 16cm x 10cm. The TONI&GUY Grey & Black Leather Tool Bag offers three internal pockets, an internal zip pouch & plenty of room to carry your essential styling tools. Approximate measurements 30cm x 16cm x 10cm.